Bone grafting is an advanced solution that can aid in the dental implant procedure. The procedure is performed to improve both the appearance and function of the mouth by restoring lost bone tissue, often due to missing teeth, periodontal disease, or injury. By supplementing the remaining bone, your jaw becomes a much stronger foundation to support your teeth. 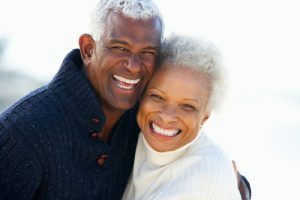 Bone grafting can also create opportunity for those in need of replacing a missing tooth who previously were not eligible for procedures like dental implants. In addition to placing a graft in the area with bone recession, Dr. John Beckwith utilizes growth factors to facilitate the development of new bone tissue. Combining the graft with this state-of-the-art material has shown to provide enhanced results for our patients at Cornerstone Dental. The best candidates for bone grafting are in generally good health and do not have any medical conditions that could interfere with the healing process. They exhibit a need for improving bone volume, whether this is to preserve the shape of their jaw or make them eligible for dental implant surgery in the future. As a Fellow of the International Congress of Oral Implantologists (ICOI) and a Diplomate of the American Board of Oral Implantology/Implant Dentistry (ABOI/ID), Dr. Beckwith has an elevated level of skill and expertise in performing dental implant surgery. Having helped thousands of individuals obtain the benefits of dental implants, Dr. Beckwith has also become an accomplished bone grafting surgeon. Depending on the patient, he can place the graft prior to or during their implant surgery. This option has proved to help numerous individuals become good candidates for dental implants, as they can improve the quality of their jawbone to support the implant post for long-lasting results. To learn if bone grafting may be right for you, please contact our practice to schedule an appointment.